We were featured in the cover story for Sin Chew Daily print edition dated July 27, 2011. 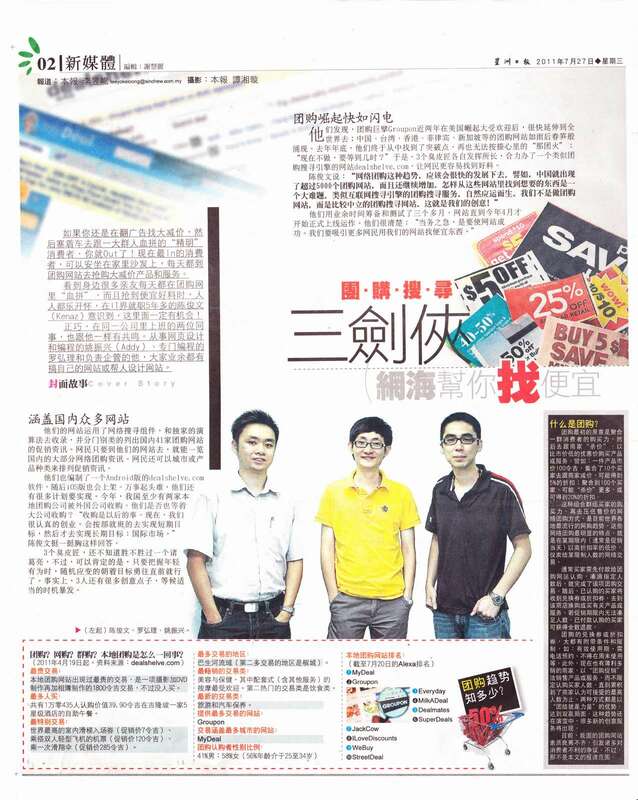 Our special thanks goes to Sin Chew Daily chief editor in CyberWorld section for the coverage. In case if you missed the print edition, we have posted the digital copy of the news coverage below for your pleasure reading. 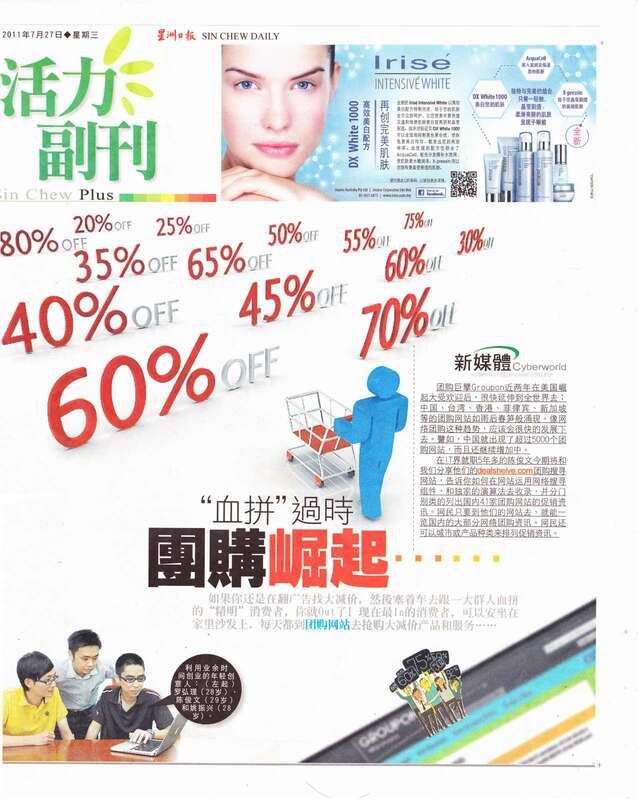 Groupon taking legal action on deals aggregator?